Are you tired of your Salesforce User Interface looking outdated? Well, you are in luck because Salesforce finally updated the look! The Lightning Experience User Interface is enhanced with predictive text search features on all your lookup fields making it easier to find just what you are looking for! Going forward, Salesforce releases will be focused on enhancing the Lightning experience. By switching to Lightning, you can seize on the latest research-based, and idea exchange innovations from Salesforce. 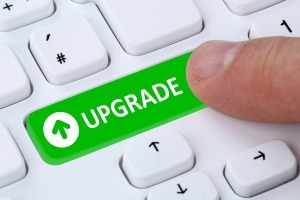 You will be able to maximize your Salesforce investment by taking advantage of each and every Lightning improvement Salesforce makes, thanks to three automatic upgrades a year. Are you tired of having to hire a developer for enhancement you want? With the Lightning Builder, you can build desktop and mobile apps just by using the concept of drag-and-drop of the Lightning Components and you can easily customize the pages in Lightning Experience. Are you tired of duplicate data? Luckily, maintaining data quality standards is easy and simple with Salesforce Lightning. You can now view and merge duplicate records, including contacts, business and person accounts, and leads by using the Potential Duplicates component in Lightning App Builder. Snap-Ins is the newest feature from Service Cloud Lightning. Built with Lightning Components, Snap-Ins allow companies to quickly integrate customer support directly into their apps and webpages. This makes it easy to reach customers effectively, right where they are. You can learn about Snap-Ins by watching this video. Salesforce is better in Lightning! Your company will see a 25% increase in productivity, 50% faster application development and a 549% return on investment in 3 years! Now, doesn’t that sound great? If you’ve outgrown Salesforce Classic or simply need a better sales solution, Roghnu’s team of Salesforce consultants can help! Give us a call at 844.764.4681 or email at info@roghnu.com and we’ll discuss if Salesforce Lightning is right for your company!